Ideally, a business leader hires experienced employees to perform tasks that require skill, but since the economy has recovered, most entrepreneurs are finding that available talent is rare on the ground. Today, skilled workers are being snatched up by established businesses and firms that have the profits and power to offer sizeable salaries and appealing benefits, leaving many startups without the talent they need to accomplish essential goals. However, few aspiring business owners are willing to let lack of skill prevent them from achieving their business dreams. Thanks to the explosive growth of e-learning, online courses are helping entrepreneurs gain the skills they need to build their business on their own. 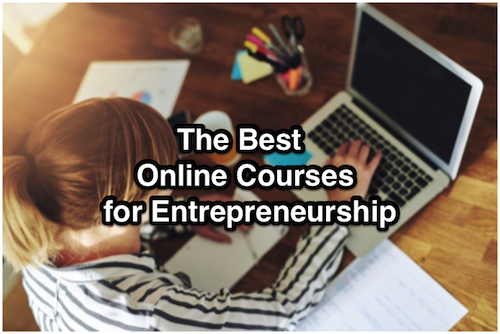 Here are the online courses entrepreneurs should take to succeed in their entrepreneurial dreams without wasting time, money, and energy chasing down outside talent. Tech is indispensable in today’s business world, and understanding the language of tech gives entrepreneurs more control over their business. Even businesses ostensibly not tech-related, like retail shops or health care facilities, rely on technologies like point-of-sale software and monitoring equipment to do business safely and effectively. By taking a few coding courses, entrepreneurs can supervise their tech teams or develop their own rudimentary tech projects to benefit their business. Though coding and programming are often used interchangeably, the truth is programmers have a much deeper knowledge of computer languages and are better prepared to build complex programs from the ground-up. Those entrepreneurs looking to enter the tech industry must master programming. Without a programming background, tech entrepreneurs will lack the ability to comprehend their products’ functionality and potential, putting them at a disadvantage in a market full of tech geniuses. Therefore, those with a tech-focused business plan must grasp programming before building their business. On the outside, marketing seems like a simple skill and one you might be able to sort of improvise, but history shows that businesses that invest in strong marketing strategies tend to succeed. Visibility is a primary goal of new businesses, which means entrepreneurs should have marketing ideas built into their initial plans, and to do that effectively, they need to have some understanding of marketing concepts. 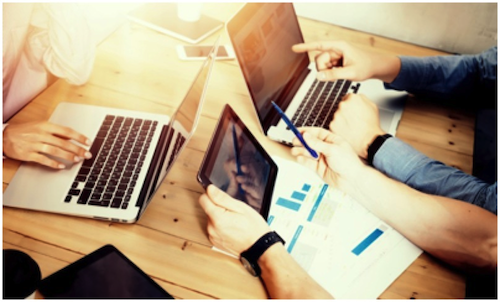 Most MBA programs require a few classes on marketing – as well as other courses covering critical knowledge and experience for entrepreneurs – so aspiring business leaders would do well to obtain an MBA degree online before starting their business. Since the rise of social media, online marketing has become more and more important to a business’s success. Surprisingly divergent from traditional marketing strategies, online marketing requires knowledge of the internet, especially the functionality of search engines, the habits of social media users, and the most popular digital trends. Entrepreneurs who have some experience with traditional marketing tactics might be better prepared to learn about online marketing strategy, but taking targeted courses for online marketing is advantageous. Finance means many things to entrepreneurs. Primarily, it brings to mind the money they desperately need to get their business ideas in motion, but finance also relates to the careful management of cash that keeps businesses healthy and alive. Finance courses can teach entrepreneurs how to master both skills: the attainment of capital as well as the balance of it. Then, entrepreneurs will never feel pressed for cash. A relatively new concept – but one that is especially appealing to startup entrepreneurs – growth hacking is the process of expanding a business as quickly as possible by experimenting with different business tactics. Traditional business leaders often see growth hacking as unnecessarily risky, but the rise of disruptive technologies has proven that hacking growth can by a wildly profitable practice. Experienced growth hackers are few and far between, but it doesn’t take much for an entrepreneur to grasp the fundamentals of growth hacking by taking online courses on the subject. More than anyone else in business, entrepreneurs spend inordinate amounts of time daydreaming. Brainstorming courses help entrepreneurs guide their fantasies, so they might pull feasible ideas and constructive plans from their brain space. Brainstorming courses also help entrepreneurs learn how to think with a team, so ideas can merge to create solid strategies that ensure business success. In a world where consumers are retaking control of the market and using their buying power for the greater good, entrepreneurs must be more conscious than ever of the ethics of their business practices. Ethics is a dense field, and business ethics can be confusing and disheartening. Still, aspiring business leaders should take some responsibility for the state of society and learn proper business policies and practices that protect everyone, from leaders to workers to customers.